Each of our award recipients has dedicated his or her time, resources, and skills to provide services through the Snowshoe Foundation, and is worthy of distinguished recognition. Our professional awards are presented each year to salute the accomplishments of individuals, groups, businesses, and/or organizations that have exhibited an outstanding effort toward furthering the mission and goals of the Foundation. Some of the awards that we have bestowed on our generous community members include the Snowshoe Foundation Business of the Year Award, The Snowshoe Foundation Volunteer of the Year Award, and The Snowshoe Foundation Lifetime Achievement Award. 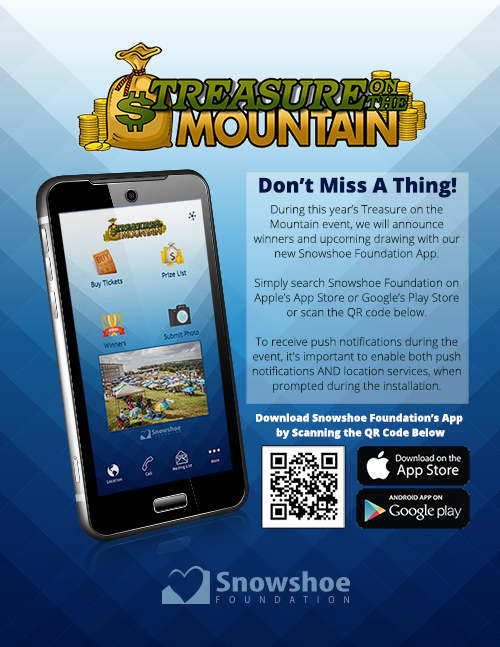 The Snowshoe Foundation provides funding through one-time grants and scholarships to help further our mission to enhance the quality of life for the people of our Central West Virginia mountain home. We strive to provide benefits to advance and improve the lives of local families and society in a variety of ways. From college scholarships to grants for projects designed to improve our communities through literacy, technology, health science, and more, your contributions make a significant difference in the everyday lives of area residents! Some of the numerous grants and scholarships awarded during 2018-2019 by the Snowshoe Foundation are listed below. Interested in Supporting the Growth of Our Local Community? 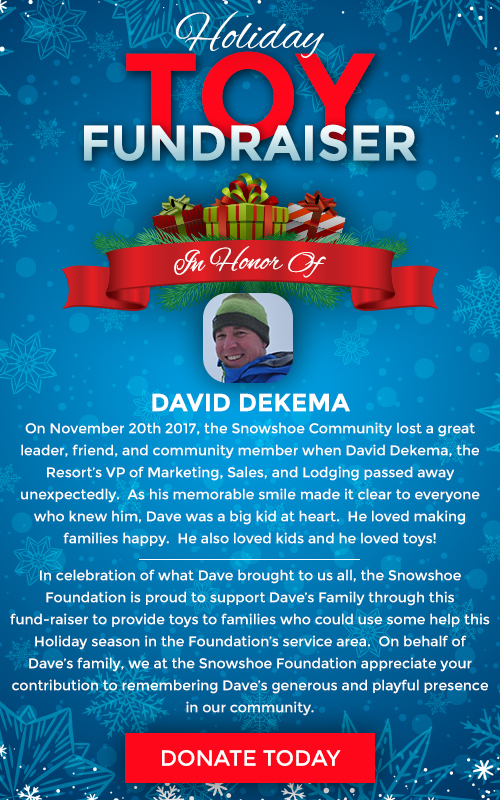 If you are interested in supporting the efforts of the Snowshoe Foundation, please consider volunteering your time or participating in a fundraiser. Direct donations to assist with the growth of our local communities are also welcome and appreciated.